My son is enamored with a pet rat. The first thing I heard as he got off the bus his first day of school was that his classroom had a new pet, a hairless rat. Apparently they are also getting two hamsters next week. He is obsessed now. At the library he wanted all books on rats and he talks about it constantly. I think it's pretty cute. We have three dogs and three cats, but we haven't had any small pets since before he was born. Before kids my husband and I had dwarf hamsters and I grew up with gerbils. I haven't allowed my boys to have any small pets yet, since they are a little small to be able to understand being gentle. Having a classroom pet is the perfect compromise. My oldest son feels an attachment and responsibility for a small animal and I don't have to do the daily care etc. I love it. With last week being the first week of school I didn't do a lot of cooking, but this weekend it's back to the kitchen. Today I tried a new recipe for Summer Vegetable Chili from the June 2013 issue of the Food Network Magazine. This recipe has 16 ingredients. It takes 40 minutes of total time, 25 minutes of which is active and makes 4 servings. I only made a few modifications to the original recipe. First I always use canola oil instead of vegetable oil, I prefer it for heart health. I bought regular frozen corn since I have never seen fire-roasted at the stores near me. Additionally I purchased regular beans and tomatoes not low sodium since the store I went to only had one variety. I cooked the beans on high for the 20 minutes of cooking time, watching it closely to ensure that it did not burn. Using a dutch oven is a great way to make chili, it heats evenly and is big enough to make big batches. I found that I had to add more salt at the table, but that is more of a personal preference, if you like food with less salt it would be fine as written. The mushrooms in this recipe really made the dish. They allowed for the chili to have a lot of flavor. Plus my husband who isn't a big fan of vegetarian chili really liked this recipe. With the mushrooms it was definitely more male friendly. My two boys were skeptical, but after tasting it they ate their whole bowls. The recipe states that it only makes 4 servings, but after my family of 4 had a dinner sized portions there was more than enough for at least another meal. For the recipe go to Summer Vegetable Chili. An easy vegetarian chili recipe that has great flavor from the addition of portobello mushrooms. Makes enough servings for multiple meals. Looks totally flavoursome and tasty! Thanks :) It was a really great recipe, my husband and I loved it! Ew. I saw a "pet rat" in the pet store last year and I walked out never to step foot in there again. They creep me out. There not too bad once you have them as pets :) They do have a smell though. Before we had kids my husband had both rats and mice. He had a room for them so they were away from the rest of the house. When we had kids he got rid of them, now we just have dogs and cats. I do think that pets are a great way for kids to learn responsibility and caring for something other than themselves. It's an important lesson to learn! 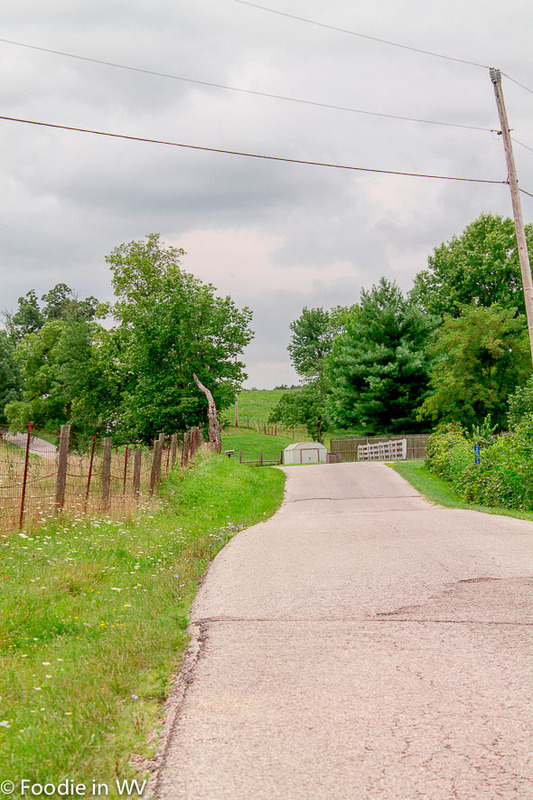 I love these Kentucky photos that you've done lately. It looks so serene. Certainly someplace where you can just relax. As for pets, we have 2 dogs and a cat. I refuse to get any pets. When we got our dogs they said "we'll take care of it, we promise." Guess who does most of the work, me! No more pets for us. :) I love chili and this chili looks delicious. I think my hubby would love this as well. He loves making chili so I'm passing this recipe over to him. Thanks :) It was really easy to make too! 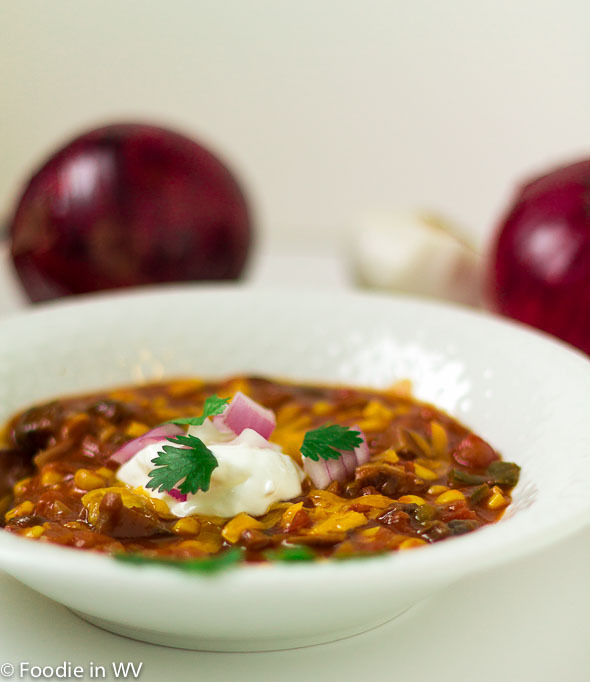 Zucchini would be a perfect summer addition to this chili. Everyone has an abundance of it this time of year anyway and its hard to use it all! Zucchini is a great idea. I am always swimming in garden zucchini by August :) I end up making a ton of zucchini bread and salads, adding it to the chili would be a nice alternative. I have been canning my heirloom tomatoes since I have so many right now! It was a slow start to the season and now everything has exploded! Ann, this looks so good - we have a ton of fresh veggies streaming out of the garden right now, and I'm thinking a lot of them are going to find their way into something like this - thanks for sharing! I am in the same boat, I have so many heirloom tomatoes that I might have to start giving some away :) I bet your garden veggies are yummy! The hubby and I will taking a road trip to Louisville Kentucky in October. 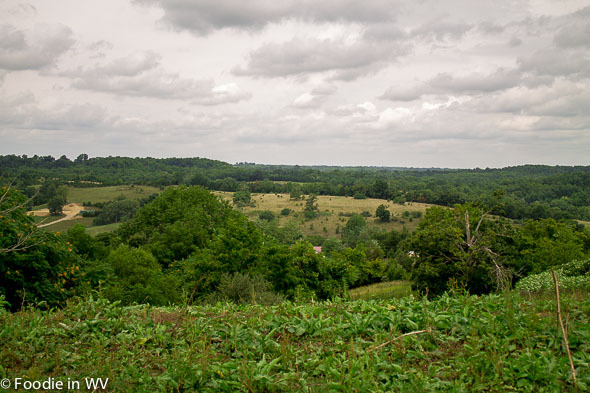 We will be going to sites in the town and the highlight of the trip will be hiking in Mammoth Cave National park. The chili looks so good and I'm really getting to love beans. I made a bean stew with Great Northern beans, carrots, onions and Swiss chard. Mammoth caves are beautiful, I'm sure you'll have a great time! Yum to the beef stew also. I love swiss chard, plus it is so healthy! This recipe looks perfect for us, its freezing in San Francisco so more cozy dishes are on the menu. I like the idea of zucchini as well! We are still in the 80's, I will be happy once it cools down :) I am a big fan of chili and stews. I agree that the zucchini would be a nice addition! Thanks :) It was really delicious and easy! A rat? Have him come here to NYC. We have a million he can choose from! I am a big chili fan! This looks great! Apparently it's a hairless rat, which sounds creepy to me, but he loves it :) I am a big chili fan too, especially in the fall and winter! I'm not ready for chili weather just yet, but this looks delicious! Thank you for sharing with the Clever Chicks Blog Hop this week! This recipe is nice since it's chili, but it uses veggies available in the summer :) Thanks for hosting!